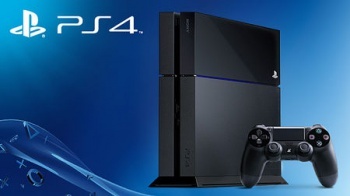 Sony's PlayStation 4 has sold over 530,000 units in just five days to cement itself as the UK's fastest-selling console of all time. According to the Entertainment Retailer's Association (based on GfK Chart-Track's numbers), it states that Sony's PlayStation 4 managed to beat the Xbox One to become the best-selling console in the UK last year. The data reveals that Sony's new home console has sold over 530,000 units in just five days, and has generated Â£181.4 million in revenue, which makes the PS4 the fastest-selling home console in UK history. "We are delighted with the very strong sales of PS4 to date," states Sony UK boss, Fergal Gara, and adds, "Our focus now is rebuilding stock levels so those have not been able to get a PS4 can finally experience the next-gen. I'd like to thank the gamers, our retail and publishing partners who played a big part in making this success possible." While the PS4 made the history books in the UK as the best-selling home console, it wasn't the best-selling games device in the country last year. This distinction belongs to Nintendo's 3DS, with sales buoyed by the launch of the 2DS and big software releases such as Animal Crossing: New Leaf and The Legend of Zelda: A Link Between Worlds. For those in the UK, has Sony made good on its word of restocking retailers with new units or is it still hard to get without bundles?